Lesley Mitchell's mixed media work Death of Orpheus: Rainbow Serpent has been chosen as part of a works on paper show at the Pennsylvania Academy of the Fine Arts Alumni Gallery. 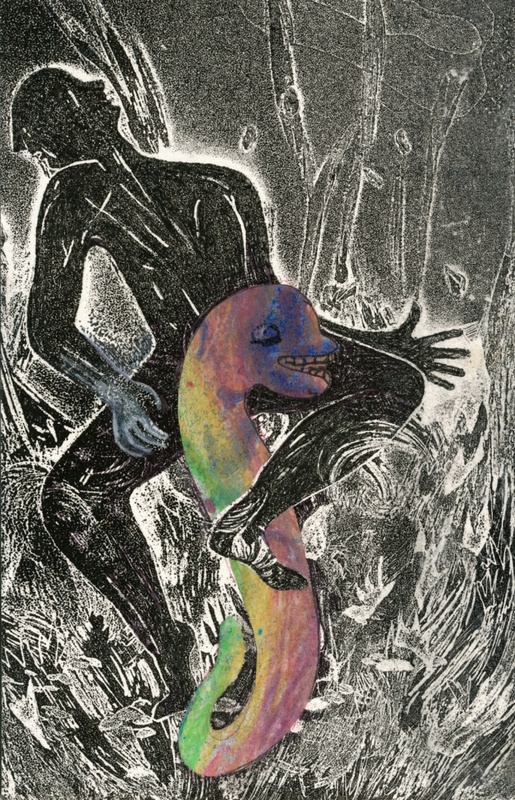 Rainbow Serpent is one of her extensive series on the Death of Orpheus theme, all of which are mixed media works including intaglio or relief prints, monotypes. collage and drawing.